No two instruments are alike. All trees are not grown equal! 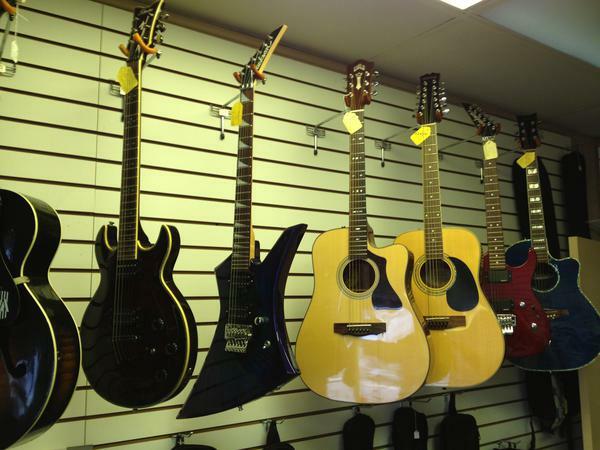 We offer quality instruments to fit your needs. Come in and play one you're intersted in. If it sounds good and feels right, buy it. We will take the time to find the right one for you. Just like the notes you play, personal touch is what we offer in your purchase. The instruments below are just a few that we offer. Instruments on this page will periodically change so do check our site often. 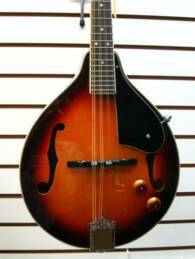 Comes in Antique Sunburst, Black (shown), Transparent Blue, Transparent Red, and also comes in a Left Handed version for $159.99. Ibanez AVD9 Binding close up! Comes with nylon carrying bag. Mahogany body and neck and ABS binding. Nice Uke!! The Ibanez PC12MH - OPN $149.99! 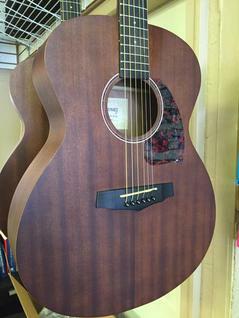 This is a very cool Grand Concert Body, Open Pore Natural finish acoustic guitar. Mahogany top, back, sides, and neck. Rosewood fingerboard and bridge. Tortoiseshell pick guard. Great guitar for the bucks! 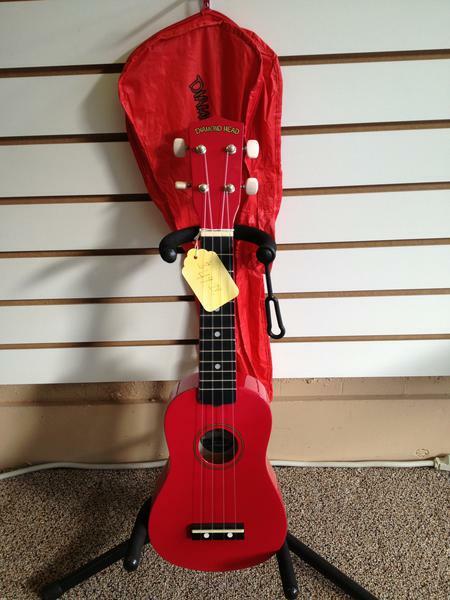 The Diamond Head Ukulele $49.99. 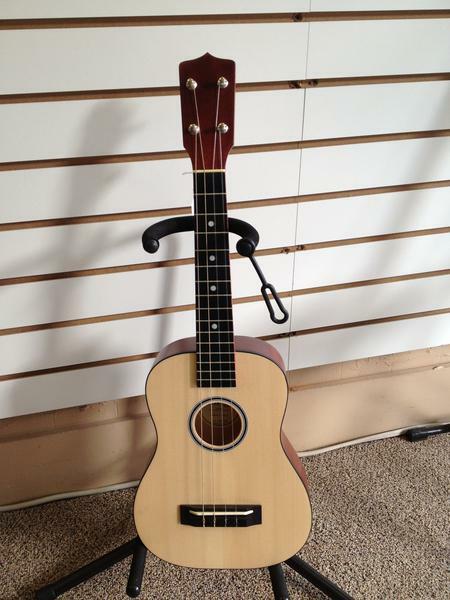 The Soprano Uke that comes with a gig bag! (Stand NOT included). Comes in a wide selection of colors including Red (shown), Black, Natural, Orange, Yellow, Green, Light Blue, Blue, Purple, White, and Pink. Comes in Natural only and has wound 4th & 3rd strings for a richer sound. Stand NOT included. Does not come with a gig bag but we have a great choice with a carrying strap and pocket. 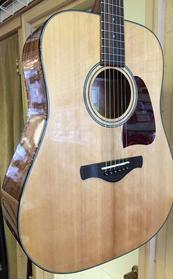 Ibanez AVD9 Acoustic Guitar $399.99 A beautiful instrument with "Thermo Aged" Solid Sitka Top, Mahogany back and sides and butter bean open tuners. Nice! Alvarez Guitars are now in stock! Check back for pics and prices or come in and see the available models.